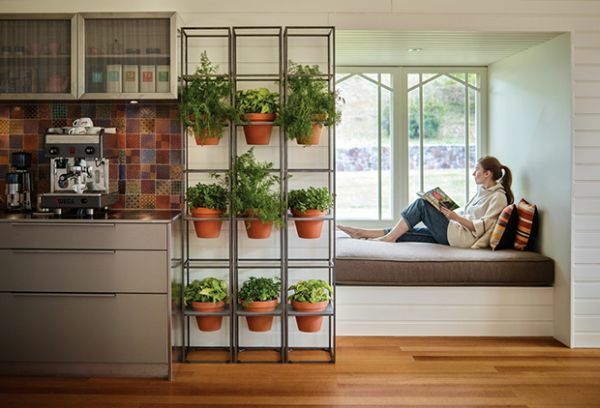 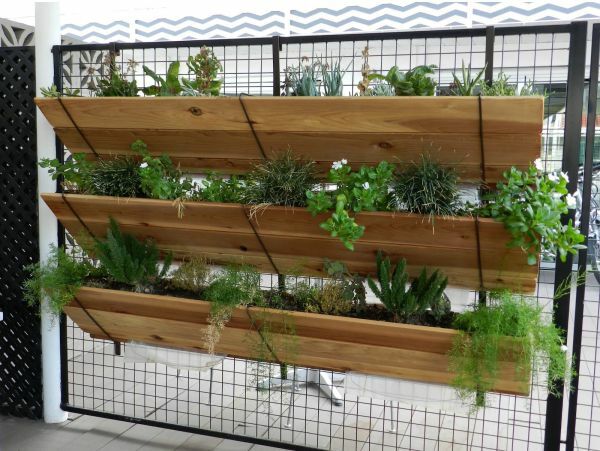 DIY Designs Ideas - Did you know that you can have a small vegetable garden in a corner of your kitchen, the wall of the service area or even a little piece of your balcony or living room? Just create a vertical garden suspended, option available even for those who live in apartments and houses of reduced space. 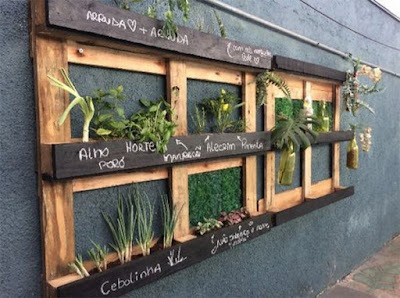 Practical, beautiful and very easy to make, vertical gardens facilitate access to fresh vegetables and high nutritional value, contributing also to the preservation of the environment, since to develop them are reusable materials, which if discarded incorrectly would bring problems for water, soil and air. 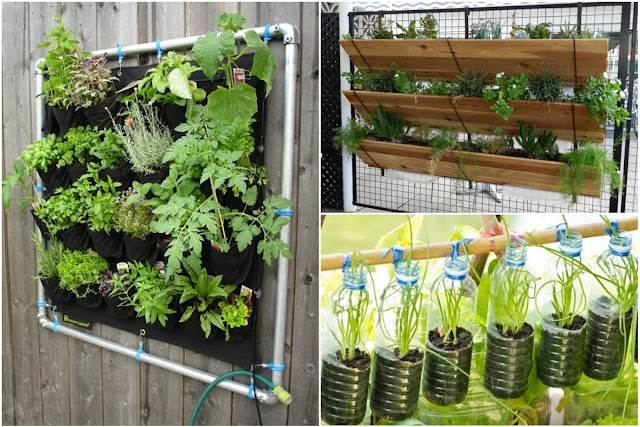 In addition, hanging gardens help ensure a good economy, because instead of going to the supermarket and the fair to buy generally more expensive foods, you will produce your own healthy food at home. 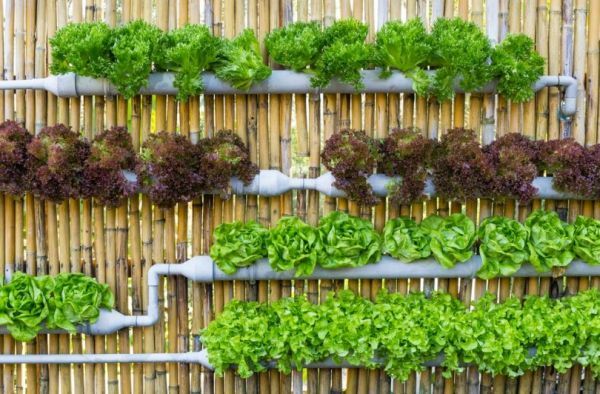 One of the main trends in landscaping, the vertical vegetable garden is also an interesting option for schools and offices, and can bring various vegetable and vegetable choices that help set up a healthy menu. 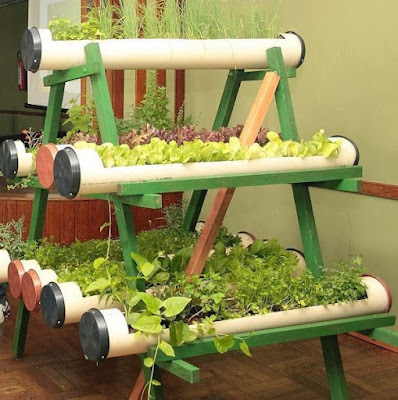 Ideally, it should be grown in ventilated areas with access to easy water, where sunlight is available for at least three hours a day. 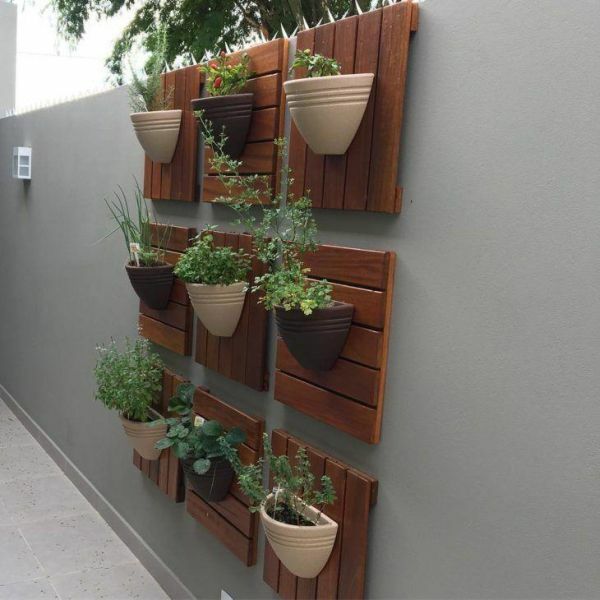 It is also essential to have discipline in caring for plants so that they develop well. STEP BY STEP How to make a home garden? Check out, then, the step by step to make vertical garden hanging. Choose the container in which you will make your garden hanging, such as the PET bottle, for example, and drill small holes in the bottom for the water flow. 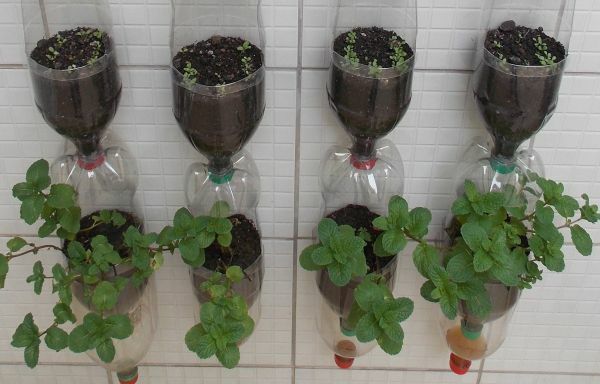 Put soil halfway down the container, and arrange the seeds you have chosen or seedlings. 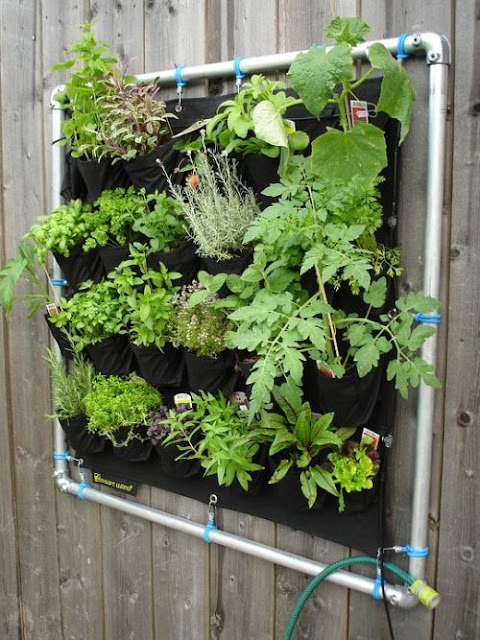 Next, complete with the soil, leaving 1 to 2 cm space from the edge (if you use seedlings, cover only the root). 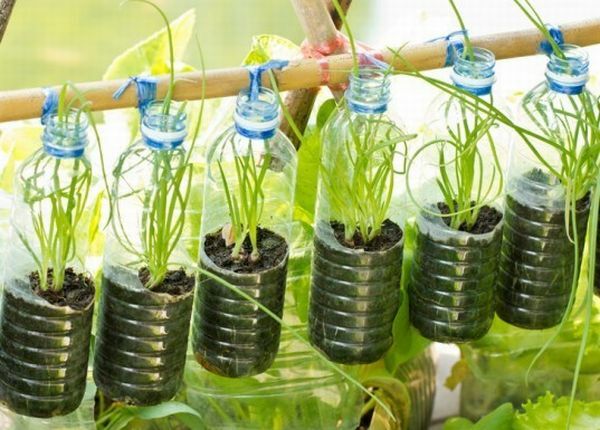 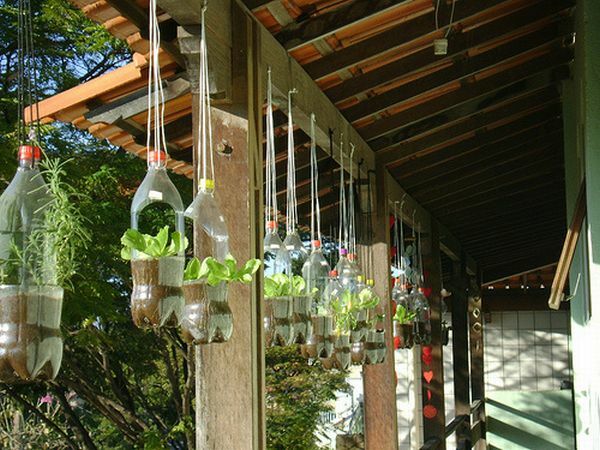 For a vegetable garden on the wall, use metal screens to tie one PET bottle next to the other, or one above the other (in this case, it will be possible to take the drained water from the top seedlings in the bottles below). If you prefer a hanging garden on the roof, make three or four holes on the edge of the bottle, tie yarns or wires in them and attach them to hooks on the ceiling (from the kitchen, for example). 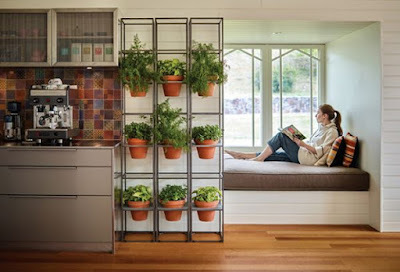 Do you prefer more mobility? 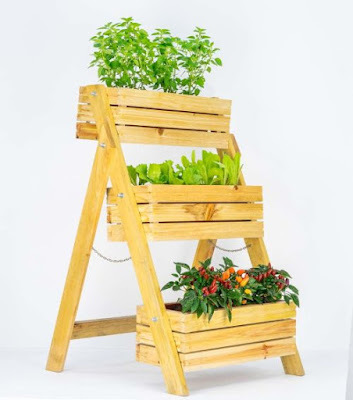 Place the bottles, pots, or vases on the steps of a wooden ladder and lean it against the wall. This version allows you to move the vegetable garden, avoiding it to take too much sun.